LDOT are Debbie Bissell & Rosie Goy. 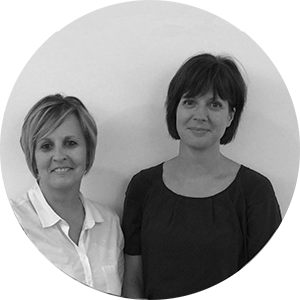 We are both HCPC registered Occupational Therapists (OT’s) who have 30 years of combined experience helping local authorities, health teams, businesses, group homes and supported living providers. They also support – Day Services, Group Homes, Nursing Homes, Own Homes, Residential Homes, Sheltered Housing Service Providers, Supported Living Environments and Health & Social Care Teams. After many years of developing and practising their expertise within the NHS and local authority learning disability services, they decided to set up Learning Disability OT Consultants to provide a specialist independent service to support providers and people with learning disabilities. In addition to their OT expertise, we are also Secretary of State Approved Best Interest Assessors for Deprivation of Liberty Safeguards (DoLS) and Specialist Advisors to the Care Quality Commission (CQC). We can help ensure that businesses and the environment are accessible for the people with learning disabilities, both in the inside of the building and externally. We also support providers with internal processes, policies and procedures. Our fees will depend on what we are commissioned to do however costings will be quoted and discussed and agreed before hand so there are no surprises. What are our fees for ?